May 24, 1991 is the collective achievement of generations of brave Eritreans going back to the 1940s, who dared to dream the impossible, culminating in the Eritrean People’s Liberation Army (EPLA) riding its tanks in victory in Asmara to the boisterous applause of a grateful and elated nation. So, it is right and appropriate that we celebrate it—as it is right and appropriate that we question how it has been governed since then. Well, let’s look at the three things itemized by the New York Times 16 years ago. Then, let’s add other questions: has the ruling party met the challenges identified in 1993? What is the report card on the government? Is it making things better or worse? The soldiers waiting to be demobilized have increased from 70,000 to about 280,000 (four-fold); the refugees awaiting to be repatriated are still waiting—tens of thousands of new generation of refugees have now joined them, others dispersed to further and further corners via deserts and vast oceans. And as far as hunger—despite the government’s ceaseless bragging, the people of Eritrea, excepting for the well-connected and corrupt, are still suffering from hunger and malnutrition—only this time on a bigger scale. But politicians know, even if their supports don’t always do so, that the best way to exceed expectations is to lower them. The regime and its supporters talk about how Eritrea has reduced infant mortality rates, maternity death rates, malaria and TB rates, for example. And all of these are good and worthy of celebrating. But the question is: is that the standard that we use to measure a government? If that is the case, Madagascar, Malawi and Niger, too, improved their infant mortality rate; Liberia has an over 90% measles vaccination rate—would we aspire to have their governments? Moreover, all the numbers that the government of Eritrea reports are suspect for two reasons: (a) there has not been a population census taken—ever. And without a reliable data like a census, all the data that the government prepares are self-reports. According to the United Nations Economic and Social Council, Eritrea is one of several nations who “plan to conduct censuses during the period 2008-2010” but don’t hold your breath waiting for that to happen. 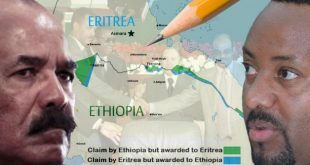 (b) There is no independent entity of any kind, be it media, civil society or political organization in Eritrea–so who is critically appraising the claims? What about focusing on national infrastructures, like roads, bridges, dams, ports and electrical grid? Hasn’t the government been working hard and shouldn’t it be given credit for improving the lives of the citizens? People who get all excited about centrally-planned command-economies have short memories. For years, most of the satellite states of the Soviet bloc used to brag endlessly about massive projects that were part of 5-year and 25-year plans which were supposed to help the nations leapfrog into dazzling progress. This never happened. Because roads, bridges, dams and ports sit idle in the absence of a dynamic free enterprise system. Which is to say: a free people. Unless the nation is welcoming of an entrepreneur class, which is driven by the profit motive, all the work that the government does is for naught. Moreover, there is always the question of: how do you finance development? Many nations in Africa have asked for a “Marshall Plan” type of aid from the developed world. Or aid and loans (that everybody knows will never be repaid.) The Eritrean regime seems to have developed a development financing scheme that was outlawed over a century ago: indentured servitude. It is employing hundreds of thousands of Eritrea’s youth, against their will, in backbreaking work, without adequate compensation for their labor. The building of the physical infrastructure should be aligned with the building of human infrastructure. It is in this area where the regime’s failure is most prominent: its education system, from kindergarten to 12th grade, has been beset by one failure after another. Niger and Djibouti are the only African countries which have a “net enrollment at primary education” worse than Eritrea’s, at 50%. From the standpoint of Eritrea’s youth, the equation of education with militarization, and of militarization with compulsion, has resulted in the not-too-surprising conclusion: to evade graduation and conscription, one must evade educational excellence and, with luck, repeat the same class. From the regime’s standpoint, the equation of education with independent thought, and of independence thought with agitation, has resulted in the also-not-too-surprising conclusion: subordinate education to military. Thus, in Eritrea, one finds the odd spectacle of a military officer as a school principal—in a civilian school! It is equally discouraging in the post-secondary school sector. The Asmara University (aka University of Asmara), had for decades a fairly good reputation world-wide and produced graduates better qualified for entrance to Western universities than many schools in its class. This is no more: the university has been replaced by micro-colleges which have no articulation agreements with any institution in the world. For every organization that will praise the PFDJ for its efficiency, there are ten others that condemn it for its brutality. Not only is the regime choking the growth of the youth, it is also suffocating the workers. Workers in Eritrea have no right to organize, independent of the PFDJ. They have no right to collective bargaining or strikes because the employer is also the ruling party, which is also the government. Women have no right to organize, outside the satellite organization of the PFDJ, NUEW. 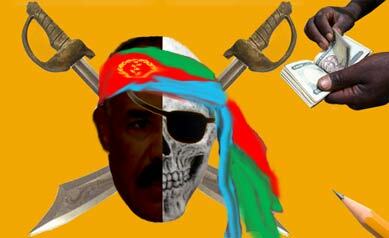 Religious institutions are subjugated to the will of the PFDJ’s Religious Affairs leader. Even sports, which is the ultimate test of how authoritarian a regime is, falls under the purview of the ruling regime: the sports commissioner is a Major General whose primary obsession is not promoting excellence in sports but minimizing defections. The real report card on a government is given by the people. And the way they do this is in free-and-fair contested elections. In states where sovereignty resides with the people, they exercise the right to hire and fire their government. In authoritarian states, the people are not trusted to exercise this judgment until some elusive goal is reached: that goal may be emergence of a middle class, or an 80% literacy rate, or elimination of an existential threat, or the lifting of a state of emergency. Any excuse will do—so long as whoever is dictating the terms gets to stay in power. So the question is: what were the ululating Eritrean mothers hoping for when the EPLA entered Asmara? Peace? They haven’t gotten it—Eritrea has now been in a state of war for 11 of its 18 years of independent existence. Economic development? Not there. A life for their children better than the one they had? Hasn’t happened. Reunification with their exiled countrymen? It has actually gotten worse. And so, this year, as people celebrate Independence Day, it will be, as it always is, with mixed emotion: happiness for a mission accomplished; sadness for a dream interrupted. Still, Happy Independence Day. 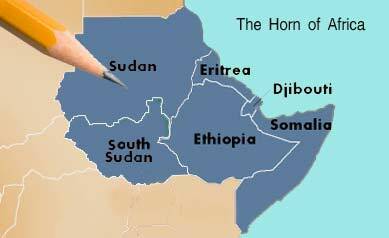 Happy that Eritrea happened, but saddened about who is presiding over it.